“Where your treasure is, there will your heart be also.” What a brilliant turn of phrase. 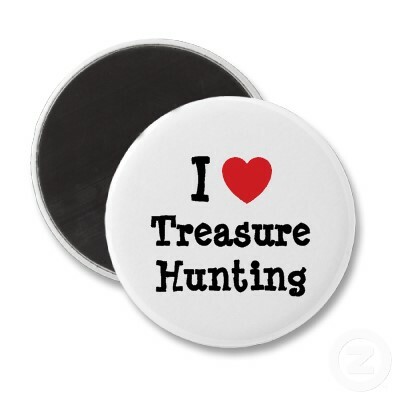 Not where the heart is, the treasure will be, but what we count and pursue and value indicates what matters most to us. Genius. So, based on this premise from scripture, what does The United Methodist Church care most about? Well, what do we count and keep track of? We certainly spend a lot of time talking about “members” — they must be important. And attendance at worship. And dollars given weekly, monthly, quarterly, annually, quadrennially. We talk a lot about launching new churches. So, if we look at what we treasure it is a straight line to what we value: MORE. We want more people, more money, and more property. This is what we value… at least on the quantitative side. But there is a whole lot more to the story than that. Our mission, “to make disciples of Jesus Christ for the transformation of the world,” is impossible to evaluate based on members, attendance, dollars, or local congregations. These things have no qualitative standards by which to judge effectiveness in fulfilling the mission. There is one, and only one reason, we would continue counting what we do as a measure of discipleship, and that is we don’t know how to measure what really matters. No, that’s not fair. We DO know what to measure, but we really don’t want to — because counting what really matters won’t give us what we treasure most: MORE. We need look no further than scripture to understand what will happen if we get serious about discipleship instead of institutional church — our numbers will go down. At just about every crossroads in scripture where followers were challenged to step up to discipleship, many went away unhappy. Church membership might be a hobby, but discipleship is not. Discipleship is a life-shaping vocation. It requires sacrifice and commitment that most Christians have no interest in giving. For this reason, we keep the standards of church membership low so that no one is made uncomfortable enough to leave. Attend worship once in a while, toss in a $10 bill, buy a ticket to a church supper you probably won’t attend, make a donation at the youth car wash and you’re golden for another year. Count warm bodies in pews and pretend it is a measure of congregational health. Increase the financial giving by ten percent and you might just get an article written about you. Cool, easy, and a clear indication of our deepest values. But what would this look like? That’s the rub. It is so easy to count heads in a sanctuary or dollars and cents in a collection plate. Spiritual growth and faith formation are much trickier. To measure and evaluate spiritual transformation means we actually have to talk to each other. It means we have to have clear expectations. It means we have to hold each other accountable. And we have to define clear goals and benchmarks for both personal and congregational improvement. Whew! No wonder we count — real measurement is hard! A Commitment to Lifelong Learning — there is no graduation from discipleship. There is transformation from a follower to a leader, from a student to a teacher, from an apprentice to a master craftsman, and from disciple to steward — but the function of learning is for all time. Learning, study, discussion, practice, and exploration are not options for disciples. They are optional for members, obviously, but healthy churches have virtually no interest in members. Leaders in healthy churches are focused on equipping Christians to be the body of Christ in the world. They don’t waste time strategizing ways to keep pewsitters happy and content. They strategize ways to motivate pewsitters to become priests, pastors, and prophets — and those most interested in active service receive the majority of the leadership’s time and attention. From every person from early childhood through extreme old age, healthy churches expect active participation in learning and formation experiences. Spiritual formation is a higher priority than Sunday morning worship. Healthy churches awakened to an important fact, worship doesn’t lead to discipleship nearly as well as authentic discipleship results in phenomenal worship. Worshippers might want to become disciples; disciples absolutely must worship. Personal and Group Covenants — “do you know Jesus Christ as your personal Lord and Savior?” This was perhaps the most diabolical and unChristian question humankind ever devised. It assumes and perpetuates a heinous myth — that religion is personal and private. It may be, as long as you do not come from the Judeo-Christian traditions. If you are Christian, you are part of a “people of God,” not a “person of God.” The “WE” of Christianity always trumps the “ME” of any one individual. It really doesn’t matter what individuals want or like or need or hope for or decide or expect. This church of OURS belongs first to God, and it exists to knit us together as the body of Christ. There is no “I” in “We” (unless you play Nintendo Wii, then there are two “i”s in Wii…). In our healthiest churches, participants make explicit, clear, and concise promises to each other. Participants are clear about the things they will do to build up and strengthen the community of faith, the things they will avoid and not tolerate that undermine good relationships in community, and they pledge to practice spiritual disciplines together as an act of solidarity and unity. The good of the whole exceeds the wants of the individual. This is very easy to measure: how well are we keeping the promises we make to God and each other? Fruits-Based Goal Setting — how many of our churches go through the motions? We meet for worship on Sunday (or Saturday or Wednesday) and we have a couple Bible studies through the week, and we hold a half-dozen meetings, and we have a luncheon or supper, and the world keeps spinning, unchanged and completely unaware of our existence. And then we measure our success based on getting a few more people to attend worship or Bible study or a meeting or a luncheon. Jesus wept. One of the healthiest churches I visited has as its mission statement: “We will make it impossible for anyone in our community not to know who we are and what we do.” Isn’t that cool? Their whole vision and purpose is tied to their witness for Jesus Christ. A church of around 200 people where at least 180 are actively engaged each and every week in ministry in the community. Part of their Sunday morning worship experience is to “testify” to the places they have witnessed God’s love in the lives they touch. This is a church that produces visible, tangible fruit that feeds souls and changes lives — and that is what they measure. Another church stopped counting how many people enter their doors every week, and instead shifted to counting the number of people they serve outside the church each week. Counting (quantitative, true) but with a completely different intention– success measured by how much we give instead of how much we get! Accountable Support — want to know the simplest measure of health versus dysfunction? Use the word “accountability” and see how people react. If there is health, accountability is something that makes peoples eyes light up. They understand what without some guidance and support, improvement is almost impossible. Just like physical fitness, development and improvement is much easier and more effective with a personal trainer (accountability). In less healthy and dysfunctional churches, the word accountability brings a negative reaction. People hear accountability as punitive and controlling. They don’t WANT to be held to their promises and responsibilities. Unfortunately, the majority of United Methodists fall into the latter category, and so we are pretty poor at accountability in the UMC. But, if our real treasure is spiritual growth toward authentic discipleship, there is ABSOLUTELY NO WAY to attain it without accountability. Accountability is a clear indicator of where our heart really is. So, the people in our healthiest churches regularly talk to each other about their faith. “And how is it with your soul?” “Where have you experienced the grace of God in your life this week?” “Where have you been able to extend the grace of God to others this week?” “What is God’s will for our community of faith?” “What is the witness we wish to be making to our community?” “What difference are we making in the congregation, in our community, in the world?” These are not occasional conversations — they are the ongoing and never-ending conversations in our healthiest churches. And there are consequences. If people fail to pray, to study, to share, to serve, and to give, they are called to account. They are given whatever support and guidance they need to continue to grow and develop. Every person’s growth is the responsibility of every other person — no one is on the journey of faith alone. These few factors are signficantly different ways of measuring and evaluating our life together as the church. Most UMs don’t want to get this serious about it, but a growing number do. While the majority of UM leaders look at the numbers, a faithful remnant are more concerned with discipleship. Shifting focus is hard. Many of our pastors are trapped between wanting to measure qualitatively — evaluating the spiritual growth and development of their communities of faith — while being required by “the system” to measure quantitatively — being judged “failures” if they don’t “grow the church” and make sure apportionments are paid in full. It takes real courage and conviction to actually take our mission of disciple-making seriously in a system that punishes those who do so. But the system will never change until enough people say “enough!” I believe we are at a critical juncture. The number of leaders who are deeply committed to institutional preservation as their main “treasure” are on the wane. Those who treasure discipleship and global transformation are on the rise — the challenge is to not lose heart. I agree with Dan’s description of a discipleship system as well. Where we seem to be in different places is that I find that that discipleship system actually functions better (and actually functions at all in many cases) when the discipleship system, as a system, is a network between congregations and other partners whose own systems are designed to deliver on some of these things far better than congregations acting alone are. We don’t even disagree there. I have long been a champion of moving beyond the current constraints of how we define church, and regularly point out how much more effectively faith is being formed on the fringes. In fact, it is the message that keeps getting me in trouble — the institutional church doesn’t like seeing what it says it exists to do being done better elsewhere. There has been a lot of posting and commenting on Methodists’ blogs about Wesleyan renewal. Over and again I have read that pastors are the ones who have to make it happen. Well, pastors are necessary but insufficient, but the open insistence of their necessity is also tacit admission that the rest of the polity is not going to do it. Michael Slaughter wrote in his recent book, Change the World – Recovering the Message and Mission of Jesus (temporarily a free Kindle download), that most Methodist churches consist of spectators, not disciples. Wesleyan renewal led by pastors may have occasional successes here and there, but will never revitalize our denomination. It is resisted too strongly by congregations and is not supported by the hierarchy, who frankly seem as wedded to the status quo as any lay person. Pessimistic? Yes, I know. Wish I had a solution…. I’m not just picking on this church. I was raised United Methodist, went to a Methodist church in college, and have been in three United Methodist churches as an adult (I’m now 27). I have yet to find one with any kind of heart for mission and outreach, and I have about given up. Your blog gives me hope that at least there are other people who believe in discipleship and that congregations should be a place where disciples are formed. I no longer have much confidence, and I doubt I’ll be back to church for a long time. Please don’t give up, Christopher. There are solid UM congregations that desperately need you and will value your commitment and participation. I am so glad I read this. Thank you.